When I was invited to edit an issue of About Place, the theme and title came to me instantly. 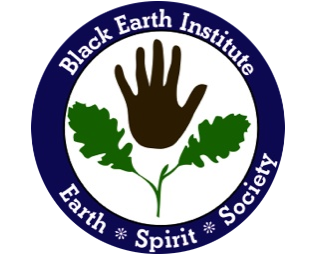 What better way to embody Black Earth Institute’s triple goals of art, spirituality, and social justice than with a tribute to the perpetual inspirations, the biggest and oldest beings on the earth, our companions across all languages? 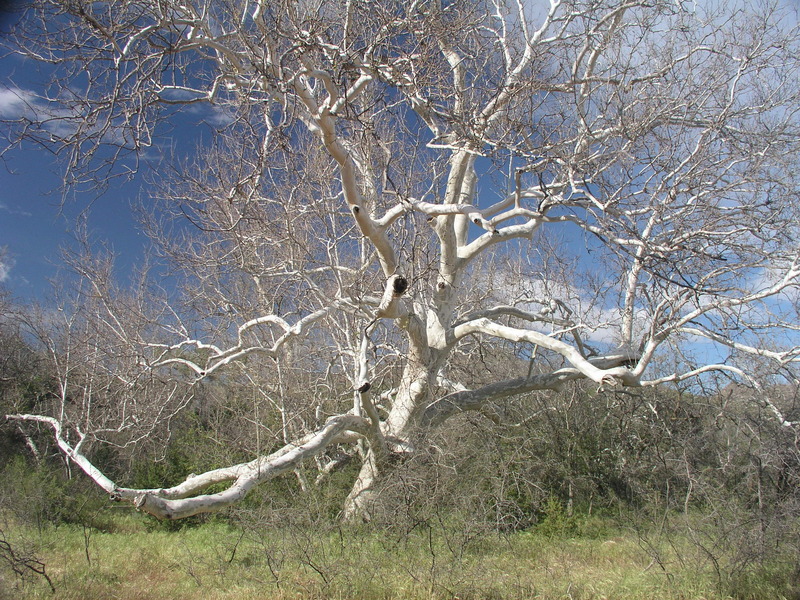 The trees of life, trees of knowledge, world-trees great and small? The nourishing soil-makers, food-givers, shared lungs of our planet? Patricia Monaghan was a hugely inspiring and influential force, a woman who can be metaphorized in many ways—as a pathbreaker, for example, or a torch, or a beacon. But since Patricia’s death I have envisioned her most often as a huge and powerful tree—a tree whose roots spread so deep and wide they are nearly incomprehensible, reaching into invisible, unencompassable territories from which they carry nourishment to the world in the form of so many accessible, palatable, glorious leaves and fruits (her invaluable books and the organizations she founded). 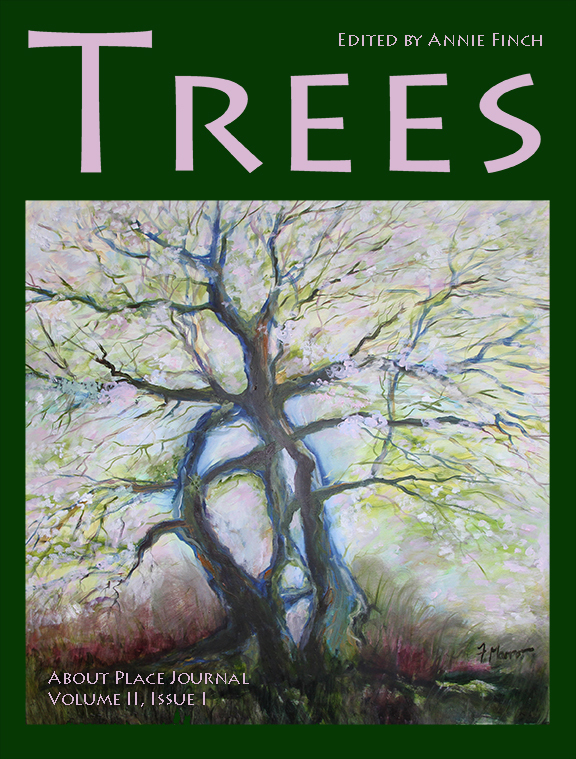 As the offerings from writers and artists and photographers for this issue rolled in, I was reminded over and over, in ways Patricia would have appreciated, of the inspiring, sacred, revolutionary role of trees in so many of our lives. The diversity and honesty of the poetry, prose, painting, and photography gathered here is breathtaking, the deep common bond that people of so many backgrounds and lifestyles and geographical locations share with trees so clearly spontaneous and self-evident, the unquestioned grief, anger, joy, and transcendence trees inspire in so many of us so easy to feel. Thank you to all who sent in your work for this issue, and thank you to all who are reading it. Browse and enjoy. And then please give thanks for all the trees in our world, and do what you can to honor, appreciate, and defend them. Poet, author, translator, editor, and playwright Annie Finch played under a gigantic maple tree growing up outside New York City, and wrote some of her earliest poems sitting up in a copper beech tree in the Hudson River Valley. Her books include Calendars, The Encyclopedia of Scotland, Among the Goddesses, Eve, The Body of Poetry, and her newest book, Spells: New and Selected Poems (Wesleyan University Press). Her poetry has appeared in journals including The Paris Review, Poetry, and The Kenyon Review and in anthologies including The Norton Anthology of World Poetry and The Penguin Book of Twentieth Century American Poetry. A Senior Fellow at the Black Earth Institute and a featured columnist for The Huffington Post, Annie blogs as American Witch at her website, anniefinch.com, where her newsletter has attracted a following with its blend of spiritual meditation and lore, poetry, and cultural criticism. She is currently at work on a memoir. Mother of two children, she was educated at Yale University and Stanford University and currently directs the Stonecoast MFA program in Creative Writing at the University of Southern Maine. She lives on the Maine coast with her husband, environmentalist Glen Brand, near white pines, birches, and a large silver beech.